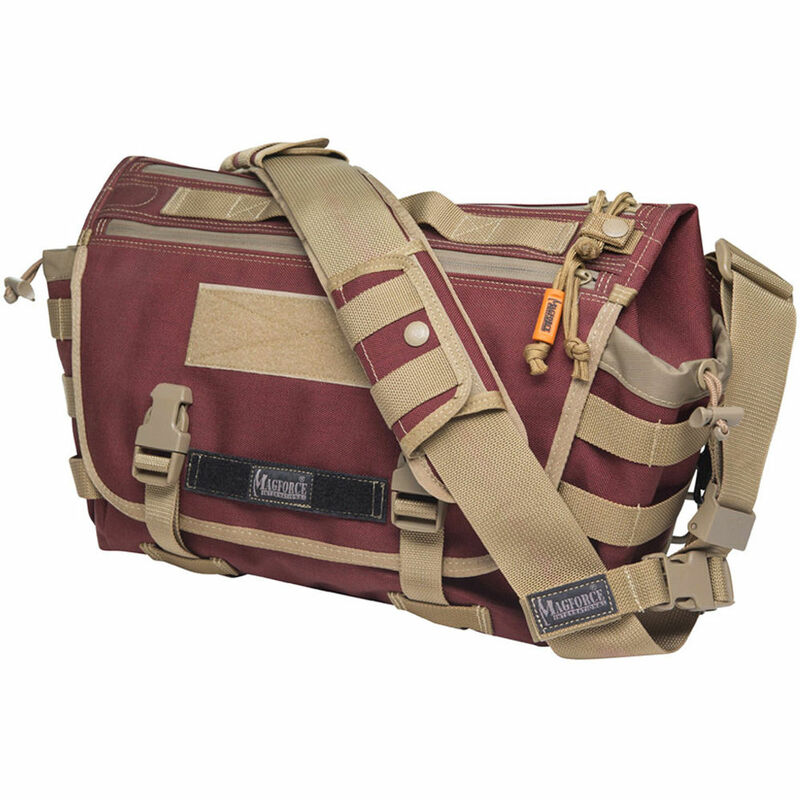 The maroon khaki Sketch Messenger Bag M from Magforce is designed to carry your gear and personal belongings with an adjustable shoulder strap and top handle. It has a total of ten compartments, including a main storage area and numerous pockets for smaller items. Its flip-up pocket reveals an internal organization panel for your pens and smartphone. Moreover, the closures of the Sketch Messenger Bag M include zippers with built-in snaps on the exterior to hold in them in place along with buckles for a custom fit. Box Dimensions (LxWxH) 19.0 x 12.1 x 3.85"